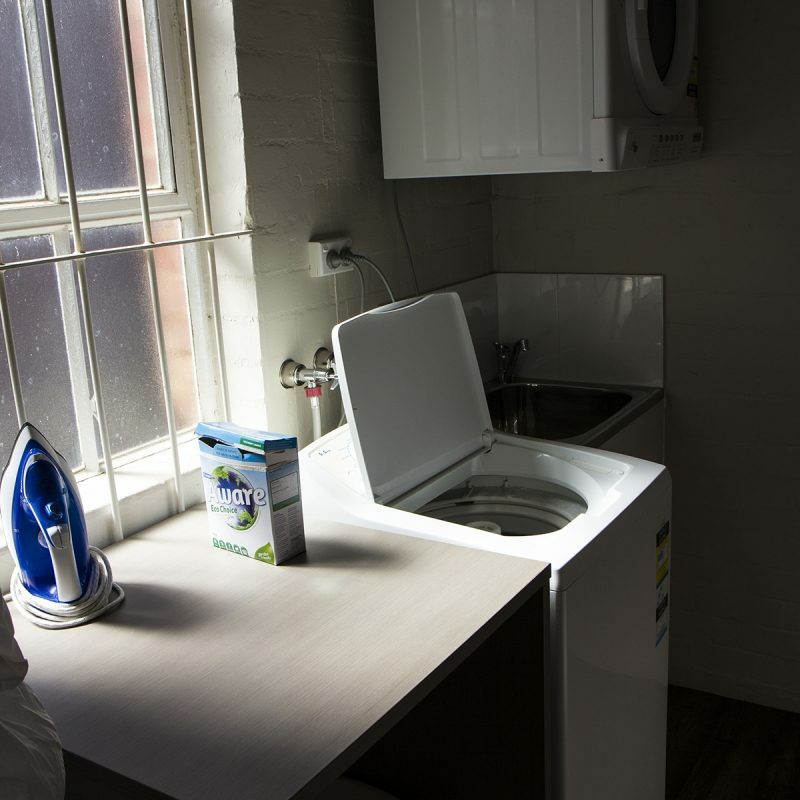 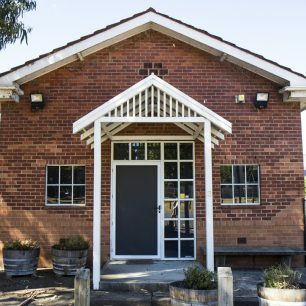 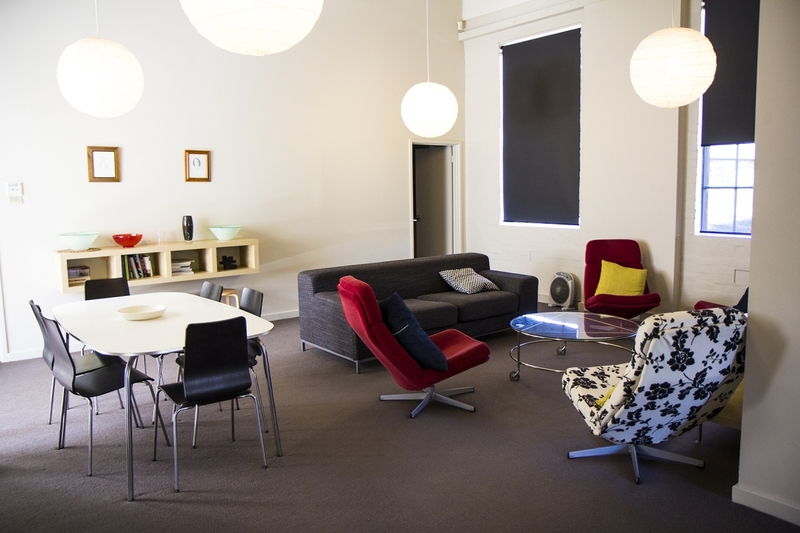 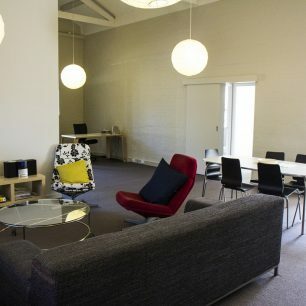 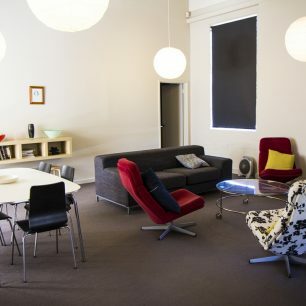 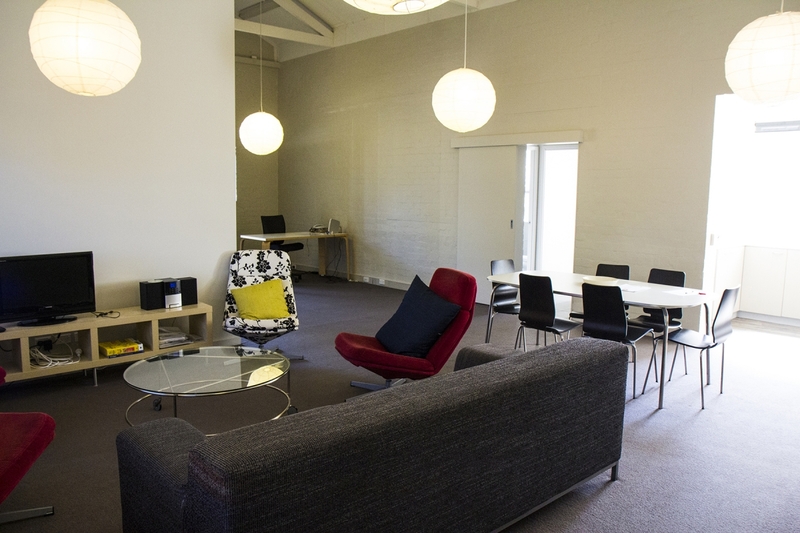 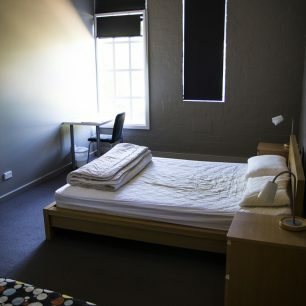 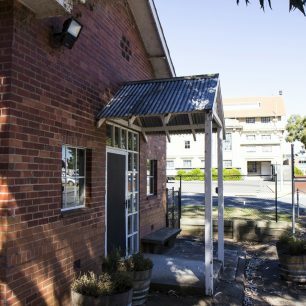 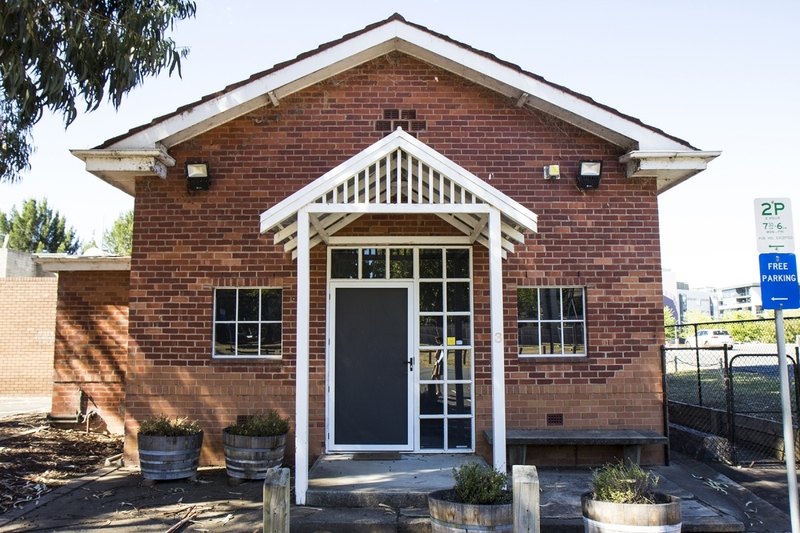 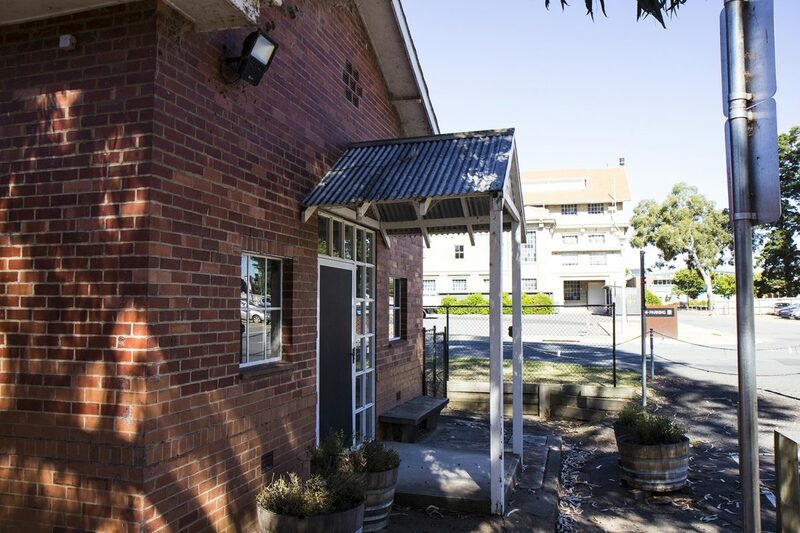 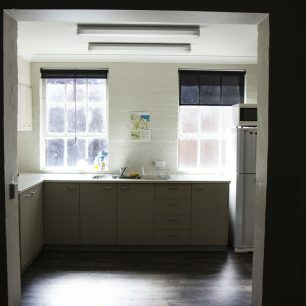 The Chapel is a shared accommodation facility adjacent to the Canberra Glassworks. The Chapel has three private bedrooms (each with a double bed) with a shared kitchen, bathroom and living area. 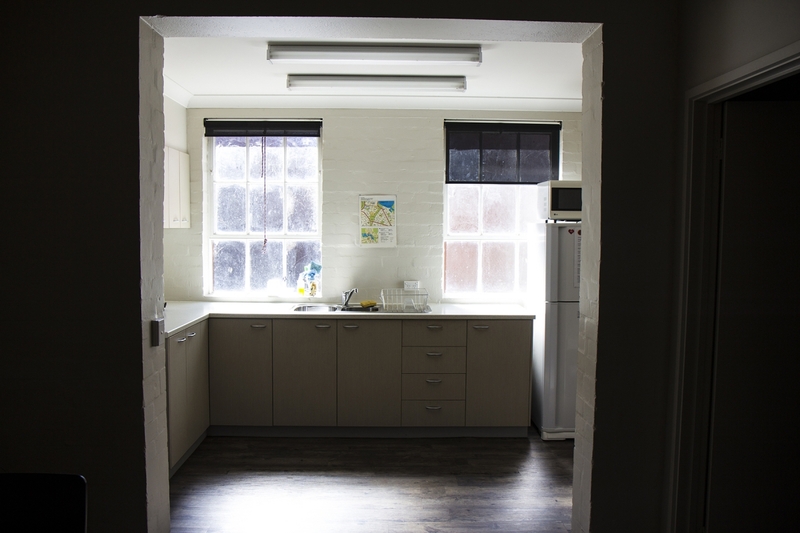 The kitchen has cooking equipment and a microwave and fridge. There is a TV and access to internet via Ethernet. 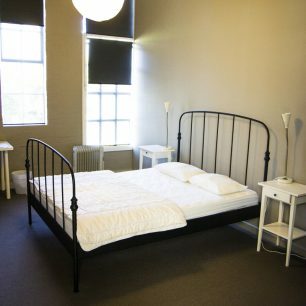 It is common that more than one person will be staying at a time.